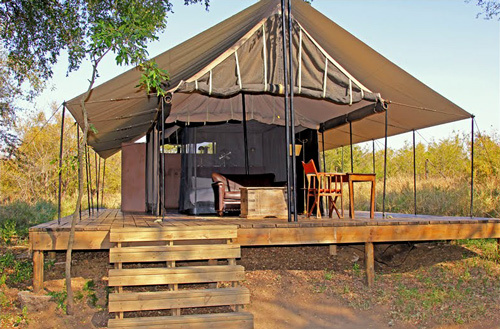 Honeyguide Mantobeni Camp is situated on the western border of the Kruger National Park in prime Big Five Country - in the beautiful and unexploited 23,000 hectare Manyeleti Game reserve. 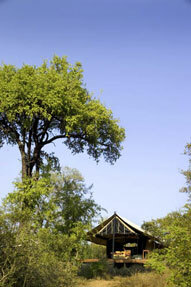 The tented camp is set among Tamboti trees on the banks of a riverbed. 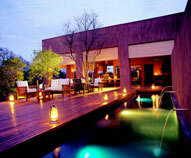 From the sun deck of the sparkling swimming pool, you can watch game such as elephant visiting the nearby waterhole. Guest accommodation is in exclusive East African-style tented-suites, offering the nature lover a close encounter with the sounds and ambience of wild Africa without sacrificing safety or comfort. 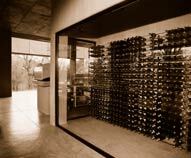 Mantobeni's public area, designed in colonial style, contains a large lounge, indoor and outdoor dining area with central bar and climate controlled wine cellar stocked with a wide range of fine South African vintages to browse through and enjoy. 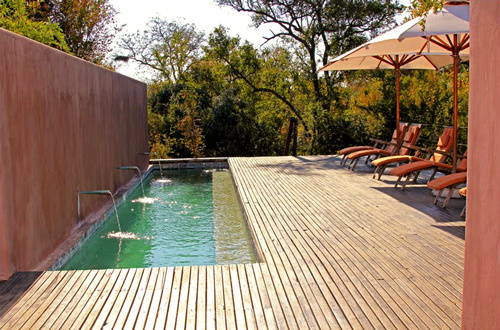 The public area leads on to a small swimming pool with surrounding teak deck overlooking a waterhole. At Mantobeni Camp you will capture the memory of a bygone era, filled with adventure and romance, where one may rediscover Hemingway's Africa. 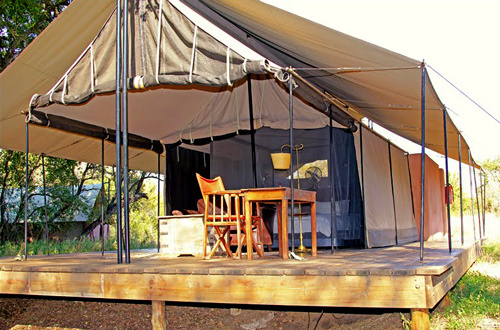 Mantobeni Camp has accommodation in 12 tents, with twin or double beds, furnished in colonial style with welcoming leather couches. 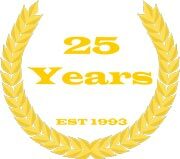 All tents have a private but open air bathroom en-suite, with large custom made bath, double shower and separate toilets. 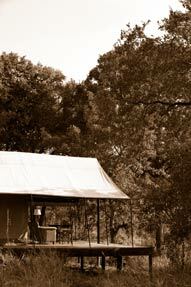 In front of each tent a deck affords a view of the forested river course. 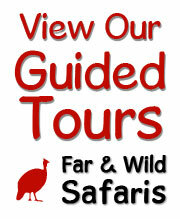 Guests wake each morning to the sound of beating drums. 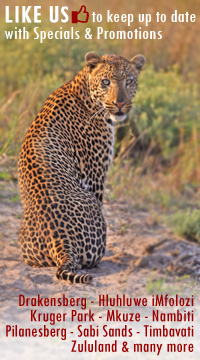 Following early morning refreshments served in the tents, activities at Honeyguide include game drives in open game viewing vehicles in the early morning and late afternoon or evening. 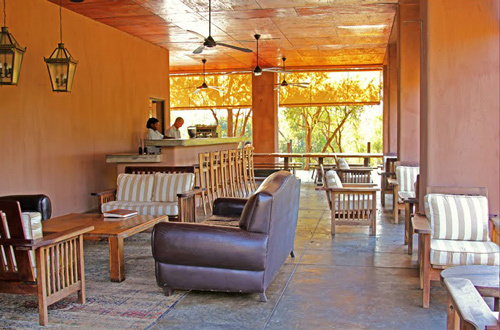 The morning drive is followed by a sumtuous breakfast, after which guests can relax at the pool, participate in a short foot safari with one of the guides or view passing game from the hide at the waterhole next to the camp. During game drives, refreshments and complimentary snacks are served at a scenic spot, particularly at sunset when the view from the Mohwareng Hills is spectacular.